Farm Boy has been providing Ottawa customers with exceptional in-store shopping experiences for almost 40 years. 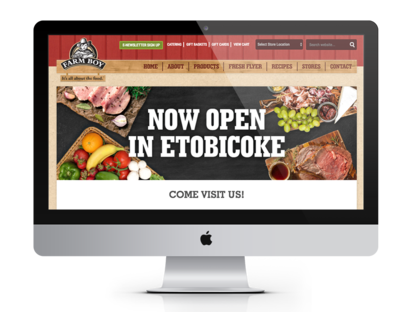 Expanding at an accelerated pace, Farm Boy decided they needed to open a store in the Greater Toronto Area, and they needed a digital strategy that could keep up. In search of better brand awareness, an increased social following, a more fulfilling in-store experience, and more foot traffic, Farm Boy partnered with Iversoft to bring this strategy to life and create compelling campaigns to measure the store's opening success. Iversoft worked with the Farm Boy team to bring four campaigns to life. 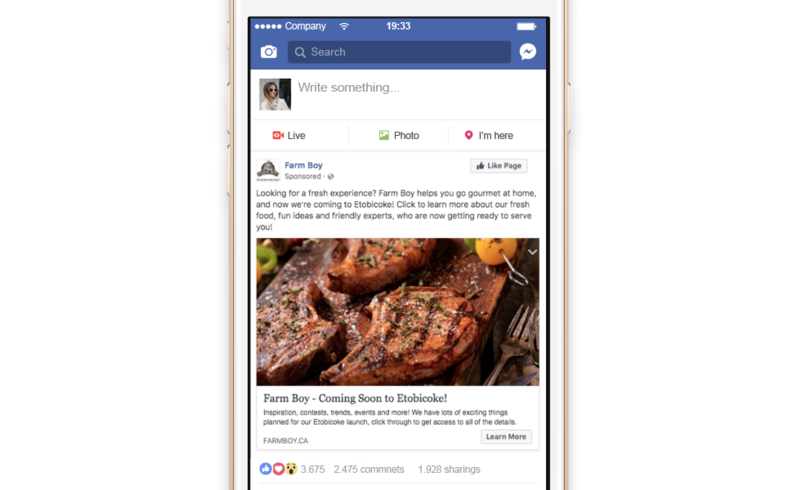 With our experience in creating and managing high performing Facebook ads, with in-depth live monitoring, we were able to track campaign success and pivot when needed to ensure maximum performance and best ROI. The Farm Boy Etobicoke store opening proved a massive success. Ad campaigns saw high social engagement, app downloads, and email subscriptions - all at a 1/4 the cost of the industry standard. The success of the Etobicoke store launch led to further collaboration on an upcoming redesigned website and mobile app. Iversoft worked with Waterbridge Media to create an enticing video promoting the store's fresh s‍‍‍alad bar!